The Q Guild of Butchers is celebrating the success of its members for their recognition as makers of the best sausages in the UK, following the results of the UK Sausage Week 2018 Awards. 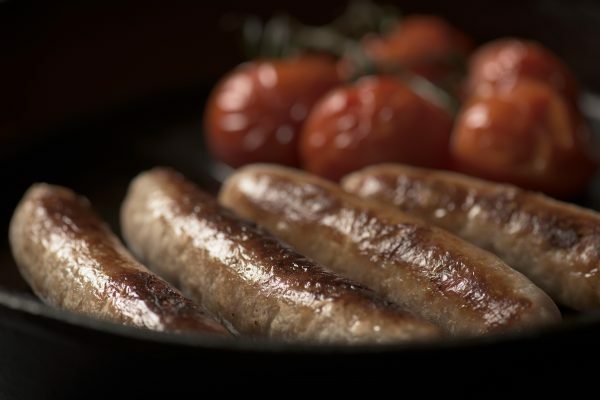 Particular recognition has been given to Supreme Sausage Champion and member of the Q Guild of Butchers, Frank Parker Butchers of Nuneaton in Warwickshire, who was awarded the title for his Free Range Pork Breakfast Sausage. The clutch of accolades achieved by Q Guild Butchers affirms the membership organisation’s status as representing some of the very best butchers in the country. The awards recognised excellence for traditional and innovative sausages in ten regional categories. Independent Q Guild butchers won across five of these categories with Frank Parker Butchers awarded the coveted overall prize. There was additional recognition for Best Foodservice Sausage; Best Manufacturer of Own Brand Sausages; and Best Supermarket/Multiple Retailer Sausage. The awards are organised by Meat Management magazine and were announced at a celebratory lunch at Plaisterers’ Hall, London on 29th October. The Q Guild is a seal of excellence marking Britain’s best butchers. The Q Guild represents an elite group of the finest quality independent meat retailers in Britain and is synonymous with skills, craftsmanship and above all, quality.